Born in London, Jane Webster’s first solo public performance was at the age of five...and she’s never looked back! Her Career to that date had been mainly in the field of Opera, but she then made her London West End Debut in “Phantom of the Opera”, and is currently appearing as the Mother Superior in The Sound of Music at the London Palladium. 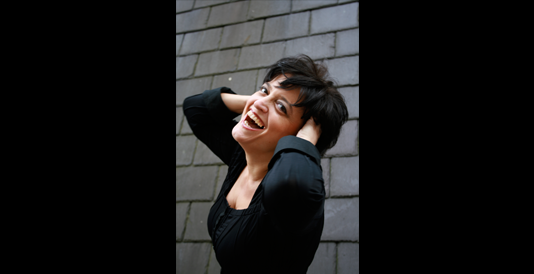 She also tours extensively World-wide with her solo Cabaret shows, and is regularly seen and heard on BBCTV and Radio. Jane is now a popular Solo Guest Artiste for Cunard on the QE2, QM2 and also Seabourn Pride, Royal Caribbean and NCL ships. She has appeared before Her Majesty Queen Elizabeth II, HRH The Duke of Edinburgh, HRH Prince Charles and the late Diana Princess of Wales and has performed as soloist at all the main London venues such as the Royal Festival Hall, the Barbican, the Royal Albert Hall and the Wigmore Hall. She has sung with many of the Great Conductors and Orchestras such as Sir Simon Rattle and the late Sir Charles Groves, The London Philharmonic and London Symphony Orchestra. In August 2004 Jane appeared as Solo Vocalist with the Bands of Her Majesty’s Armed Forces “Last Night of the Proms” at Kneller Hall in London to an audience of five and a half thousand people she also features on the new Cd “Kneller Hall Live” available in 2005.